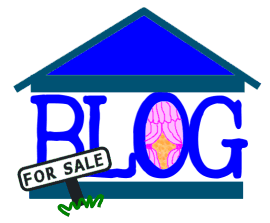 Can You Sell Your Blog? In How to Buy or Sell a Blog, I gave you a list of articles I’ve found about buying and selling your blog, but I wanted to take this conversation even further. What would it take to make your blog be worth buying? In Selling Your Blog: What Are Buyers Looking For and Selling Your Blog: What Goes Into the Selling Price, I covered a lot of the characteristics and points that goes into determining a value for your blog. Looking at your blog right now, does your blog add up to a salable blog? When Aaron Brazell tried to sell his blog, he found out the hard way that it wasn’t ready for sale. He might have wanted to get rid of it, make some fast money, and start things over, but he found that he hadn’t prepared his blog for sale. What does it take to make your blog ready for sale? Are you working your blog to its fullest potential? Are You Selling a Concept or a Person? If your blog is all about you, then you will have a harder time selling “you” and your blog. If your blog is about a concept, a theme that looks profitable and valuable to a buyer, then the blog has even more value. Branding: Name recognition adds value. 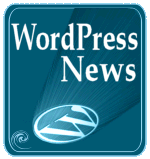 Has the branding been fully developed with the blog? Is its name and logo easily recognized within its niche or industry? Is the blog name and domain name easy to remember and have marketability? 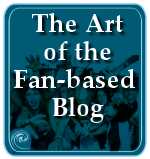 Is the content, design, and development of the blog really working to establish the blog’s brand? Google PageRank and Other Scorecards: The higher the score, the more value. Sometimes. If all things are equal, the higher the ranking, the greater the value, but there are more things that go into the mix than the scorecard from one search engine. 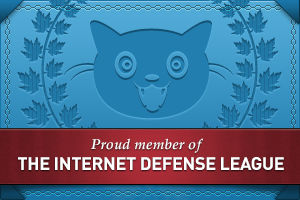 Is it frequently bookmarked on del.icio.us? Is it found on Techmeme, Digg, Bloglines, StumbleUpon, TailRank, or other social bookmarking and influential aggreation sites? 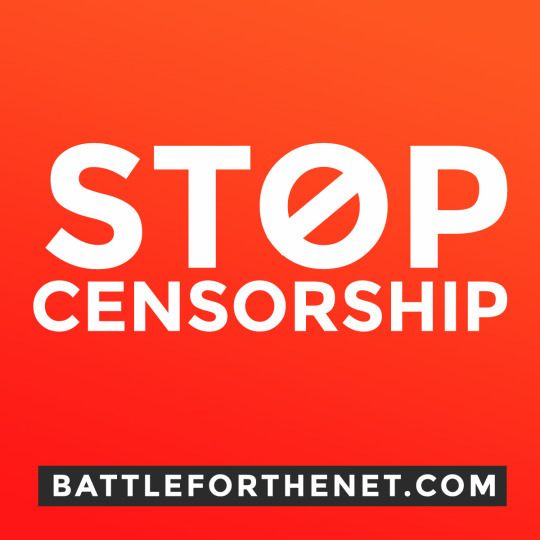 Linked to and mentioned frequently in Slashdot, TechCrunch, Wired, Engadget, Smashing Magazine, and other top blogs? Yahoo and Google Top Keyword Search Results: Which search terms bring in the most traffic to your blog? What keywords and search terms get your blog to the top of the list? Are they words people search for frequently or rarely? The more “valuable” the keywords that bring your site to the top, the more valuable the blog. Which articles are bringing in the most search engine traffic? Are they well promoted and stuffed with intrasite and deeper site links to maximize the traffic these blog posts attract? Transferable Revenue: The buyer will want to know if the blog has made money and how much in what period of time. This is proof of the economics of the blog. If you haven’t maximized your income production levels and capability on the blog, then how will the buyer really know if ads can even work on the blog? Buyers want proof first. Your word of potential is a theory, not evidence. Prove to them the blog makes money and the value of the blog will go up. Make sure the ads and direct income for the blog can be transferred to the new owner. 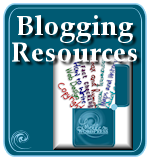 Inclusion in Blogging Networks and Social Bookmarking Networks: Are you and your blog a member of any blog networks or social sites? Are you active within that community? Do they bring in a lot of traffic and add value by association? The more visible your blog is within a community, the more value it has for the buyer. Check with the networks you are a member of to make sure you can sell your blog and whether or not the sale will transfer membership. Strong Demographics and Readership: A blog with high numbers is one thing, but a blog with high numbers plus feed reader subscriptions, incoming links, and search engine keyword incoming traffic – the more valuable the blog. The better the blogger understands their demographics and readers, and writes specifically for them, serving their needs, bringing them back repeatedly for more, the more confident the buyer is in the future of the blog. Niche Does Better Than Does Everything: Niche blogs are definitely selling better than those that do everything and have little focus. The more specific and focused the blog content, the better it serves its audience and the easier it is to be marketed. It’s also easier for the buyer to maximize profits and income if the niche is a small but influential one. Inventory of Assets (what goes, what doesn’t): What is on the list that will transfer to the new owners? 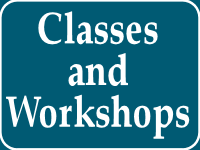 Web page design, Plugins, comments, written and image content, archives, and related content and code? What’s the value of these assets? Copyrights, licenses, customized programming code, trademarks, etc., may or may not be transferred to the new owners. Is the blog syndicated? To whom and why? Are these transferable? Do they bring in additional traffic? How much? What’s the value of the syndication? The more “goods and services” that come with the blog, the more valuable the entire package is to the buyer. Consider thoroughly which assets you are willing to give up the rights to, but the more, the more value. Unique Content: The blog title and URL are incredibly value, bu so is the blog content. Is the content unique and original or mostly link lists and blockquotes? How “timely” is the content? Does it go out of date quickly or is it long lasting? How much value does the content have? How many posts? How often are they published? Regularly? What type of posts are published? Is the subject focused or spread out? What does it cover the most? Which posts are the most popular? Which get the most traffic directly from search engines? Your Participation After Sale: Some blog purchases give the blogger money for ownership of the blog, but the new owner expects the blogger to stay on and blog. Will you stay or leave, share control, give up control, continue to participate in some way? Some blog buyers are part of a network of blogs and their purchase may include having you blog on one or more of their other blogs? Or it might bring you into their “company” doing specialty work for them in addition to blogging. Outline specifics for your involvement, if any, and how you will continue to be compensated for continuing to blog and work for them. Only you and the buyer can determine a value to put on each element and characteristic since there are no magic formulas for determining any of these elements, yet. I’ve played with the math and reports on what blogs are selling for, but I can’t come up with an equation that gives a reasonable price for a blog. Two blogs which I would consider similar have sold for totally disparate prices, though admittedly, I don’t know all the details of the negotiation. Many take a straight numbers path of so many hours/weeks/months/years put into the blog and want to get reimbursed per time period, like a job. But blogs aren’t jobs in that sense. Some bloggers can work two days a week on their blogs and appear to be working 10 hours a day seven days a week thanks to the future posts feature of WordPress and other blog services. Others work through the week, but only a few hours a week. Others have to work all week long to produce only a few articles a week. There is no clear time period measurement that’s applicable to all bloggers. You can’t put a price on how long it took you to decide upon the web page design or tweak and twiddle with it to get it “just right” or any of the time put into the backend – or can you? Some bloggers put a lot of work into the design and development of their blog, while others put little or hire someone. How do you price that? Identifying the income the blog produces, then adding value for page ranking, inventory, subscriptions, and other value-added elements, you can reasonably come up with a number, if you had the numbers for each of those values. I’m still hunting for how much a PR 7 might be worth compared to a PR 5. What about the feed statistics? How much would a blog be worth with 5,000 compared to 10,000? Would you rate Google Adsense Ads of greater or lesser value compared to Text Ad Links or another ad campaign? What if the blogger had published “sponsored reviews” such as PayPerPost? Would that count for or against the blogger in the valuation? It’s complex. How much do you really think your blog is worth? 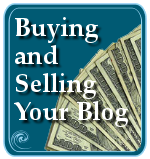 Have you blogged about how much your blog is worth and how much you would sell it if you wanted to put it on the market? If you have bought a blog, how did you determine the blog’s value? Or was it just a bidding war, as many blogs are? If you are considering selling your blog, the key is to make your blog as interesting and valuable as possible to a blog buyer. So what should you do to make your blog more appealing? 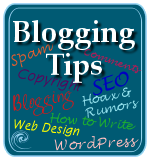 This entry was written by Lorelle VanFossen and posted on January 30, 2008 at 4:39 am and filed under Blogging, blogging tips with tags blogging tips, how to sell your blog, sell your blog. Bookmark the permalink. Follow any comments here with the RSS feed for this post. Post a comment or leave a trackback: Trackback URL. I sold my blog, Blogging Fingers for $6000, selling blogs can be done, there is a massive market for selling. I almost sold one of my blogs because I didn’t have time for it. But thanks to a couple of bloggers who adviced me against going it, I have decided to try working on it again. And some actually contributed articles to keep it active! That’s a very good point and part of why I wrote these latest articles. If you are approached, you have to do a lot of soul searching. Even if you don’t consider selling, planning your blog’s marketing and future plans around the idea of eventually selling your blog, whether you do or not, is better strategy than just playing the seo game. Hmmm…. can’t say I’d ever want to sell any of my blogs – or that anyone would even want them. I put a lot of my heart into my posts. I genuinely love my readers and would feel like a part of my heart was ripped out if I let one of my blogs go. I don’t think you can put a price on a blog community you feel really connected with. I want to sale my blog site. that is a good one there. we can make it with blogs no thought is valueless unless proven so. how can I sell my blog? You signed in with a WordPress.com blog. You cannot sell those. Some web hosts do not allow sales or transfers of websites, most do, so check their terms of service and see the series I’ve done on selling your blog featured in How to Buy or Sell a Blog.